Ecosystems throughout the Arctic are regulated by seasonal changes leading to a finely tuned balance between the greening of vegetation and the reproduction of animals. The rapidly warming climate and the disappearing sea ice are upending that balance. 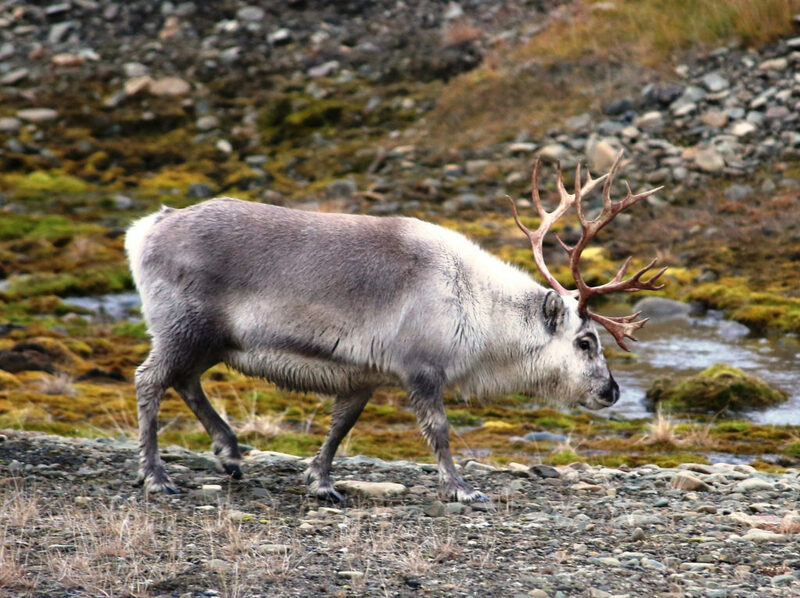 Researchers in Greenland have been studying the calving of caribou for two decades. Areas that used to have herds in the hundreds of animals back then now have dramatically smaller numbers. As it got warmer and warmer and the growth season started earlier, the plant growth – triggered by temperatures -started earlier but the caribou breeding – triggered by the length of day – didn’t. As a result, plants pass their nutritional peak by the time the herds arrived to eat them. This has led to a decline in population. In southwestern Greenland, the growing season now starts on average nearly three weeks earlier than a decade ago. Some plants have advanced their first spring growth by 26 days or more, which is half of the Arctic’s brief growing season. The landscape itself is changing as shrubs like gray willows, normally dwarf, are growing much larger and changing the very look of the tundra’s traditional landscape. The Earth’s springtime clock is advancing around the globe as the planet warms up. It results in butterflies emerging earlier, pollen seasons starting ahead of schedule, and the intricate choreography of birds and bees going out of sync. But nowhere is the clock speeding up faster than in the Arctic. The onset of spring has moved up four days for every 10 degrees of latitude north of the equator and the rate of change appears to be accelerating. Will climate change drive ecosystems past the point of no return? Nobody knows. Photo, posted September 19, 2016, courtesy of NASA Earth Right Now via Flickr. ‘Throwing Off Nature’s Clock’ from Earth Wise is a production of WAMC Northeast Public Radio.